Things are really ramping up on site as we prepare for our first market of the year at Levy on Saturday – and with so many new things to see, we thought you might like a little run down! Who likes breeze blocks? NO ONE! Even breeze blocks’ mum has to admit they’re not a looker. Our lovely woodland planting area is now all dug over (thank you, I E Levy volunteers!) and ready for planting and, rather than painting the ugly backdrop, the clever I E Levy folks invisaged a planting wall from salvaged wooden pallets, and were able to find a resident who could make us one! The wall can now house herbs, small edible plants and more. You won’t actually be able to see it his week for stalls (it’s HARD being so popular ;)) but come down on 14th to see the wall in all it’s glory! At the end of this week we will be installing some specially designed recycling bins into the market site – specially segmented so that shoppers (and visitors to the car park on non-Market days) can sort their rubbish for recycling – and providing more, much-needed, waste disposal points on the site. We’ve not got a picture of these yet, but we know they have a Levy Market logo on so we’re A BIT EXCITED about seeing them – will post pics as soon as we have them! How is all this happening? 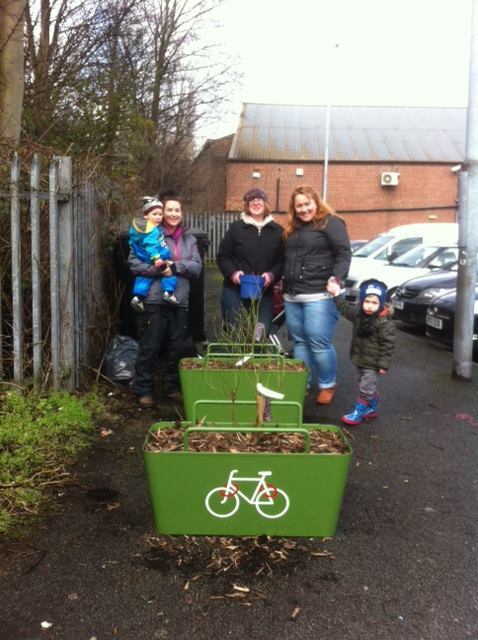 Well, it should be pretty clear that this is the doing of Incredible Edible Levenshulme – they were granted £25k from Manchester City Council’s Clean and Green Cities fund to make these and many other improvements around Levenshulme – you can read more about the project here. The money is providing the equiptment and some installations costs (where contractors have to be used) but it’s worth noting that most of the hard work is being done by a very dedicated group of volunteers, who don’t get a penny for their time and have worked in some pretty unseasonal conditions! Massive thanks to them – the work they are dong is making a HUGE difference to Levy already. They’re always looking for new volunteers too, so if you want to be part of something special, make contact with them via Facebook or Twitter. One last thing – IE Levy works closely with Keep Levy Tidy and are part of a concerted effort from many residents of Levenshulme to clean up our beleaguered streets. They host clean up events regularly and there is a big event planned for Saturday 21st March – details below – and anyone who joins in will be able to claim a free coffee or tea at the Market after they’re done – just come to the REDUCE, REUSE, RECYCLE tent! 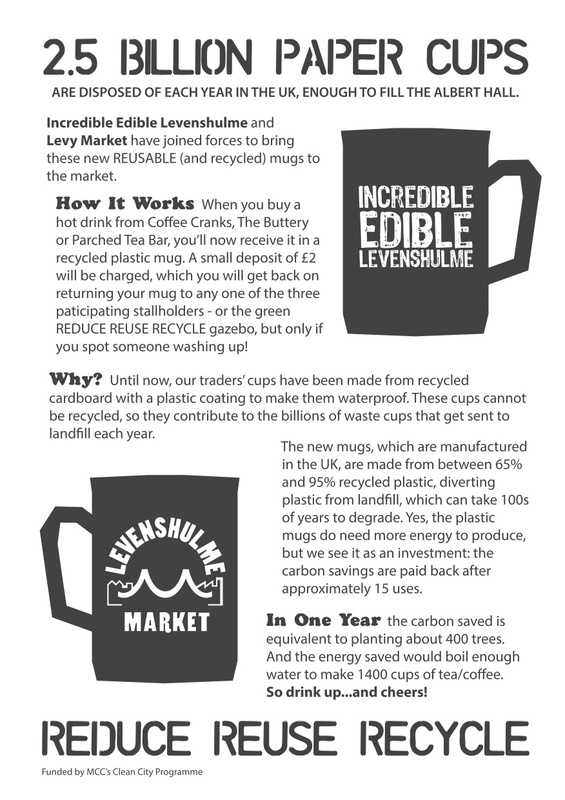 Post by Incredible Edible Levenshulme.